Chubb Bermuda has named Richard Porter Senior Vice President, Head of Financial Lines. Chubb's Financial Lines Division in Bermuda has been handling underwriting and claims in the excess marketplace for nearly three decades. "Rick Porter is a recognized leader in the insurance industry with an outstanding track record for achieving results," said Ms. Gonsalves. "We see tremendous opportunities to provide our clients with the most comprehensive set of solutions for meeting very specific needs, and believe Rick's deep legal, risk management and insurance background, in addition to his considerable experience with both claims and compliance, will help further strengthen our ability to deliver superior Financial Lines solutions and services to the marketplace." Mr. Porter has more than two decades of U.S. and international industry experience. Before this appointment, he served as General Counsel for Chubb Bermuda, where he oversaw legal and compliance matters for the company and served as counsel to the underwriting teams in financial lines, excess liability, and property. Mr. Porter joined the company as Associate General Counsel in 2011 and was promoted in 2016 to General Counsel of Chubb Bermuda, where he also provided legal oversight for its affiliates in Dublin and London. Before joining Chubb Bermuda, Mr. Porter was Partner with Wilson Elser in New York, NY where he worked for ten years. 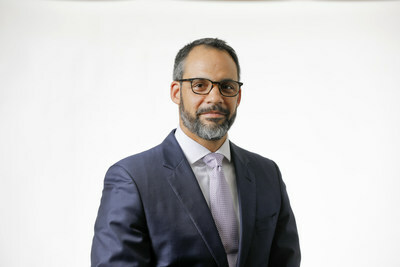 He holds a Bachelor of Arts degree from the University of Michigan and earned his Juris Doctor from Cornell Law School. Chubb is the world's largest publicly traded property and casualty insurance company. With operations in 54 countries and territories, Chubb provides commercial and personal property and casualty insurance, personal accident and supplemental health insurance, reinsurance and life insurance to a diverse group of clients. As an underwriting company, we assess, assume and manage risk with insight and discipline. We service and pay our claims fairly and promptly. The company is also defined by its extensive product and service offerings, broad distribution capabilities, exceptional financial strength, and local operations globally. Parent company Chubb Limited is listed on the New York Stock Exchange (NYSE: CB) and is a component of the S&P 500 index. Chubb maintains executive offices in Zurich, New York, London, Paris, and other locations, and employs more than 30,000 people worldwide. Additional information can be found at chubb.com. For additional information about Chubb Bermuda's insurance products, please contact a Bermuda or non-US-based broker. The information contained in this document is intended for general marketing purposes and information only. For terms and conditions of coverage, please refer to the specific policy wording. The Bermuda Monetary Authority regulates Chubb Bermuda. It is not licensed in the U.S. as an admitted insured nor is it an eligible excess and surplus lines insurer.